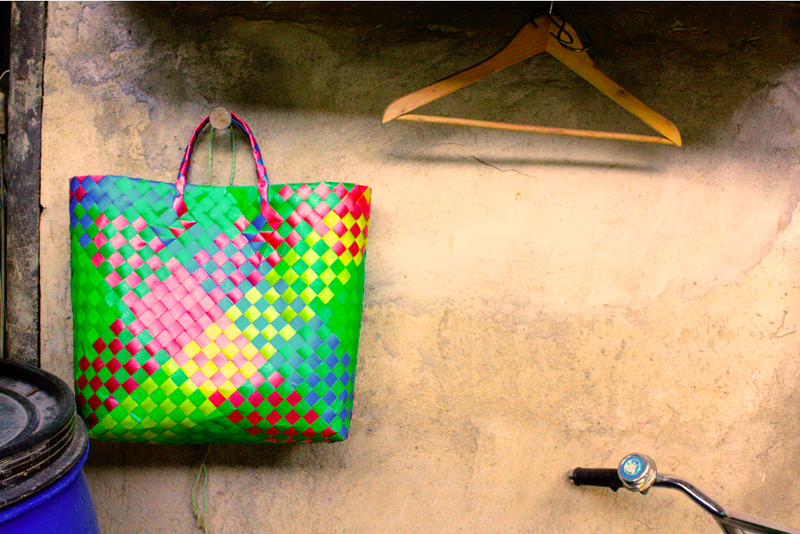 Bayong, a traditional Filipino bag made of indigenous materials such as > pandan, buri, sabutan, romblon and abaca, but this colored plastic woven bayong (bag) is commonly used in wet market . So people, PERA O BAYONG? Great colors & composition, love it! That is one BRIGHT bag!! so it's called a pera o bayong? I love your composition and the bright splash of color against the neutural background. these random objects looks so connected in some way, like v. much! Awesome...I like the composition and colour.